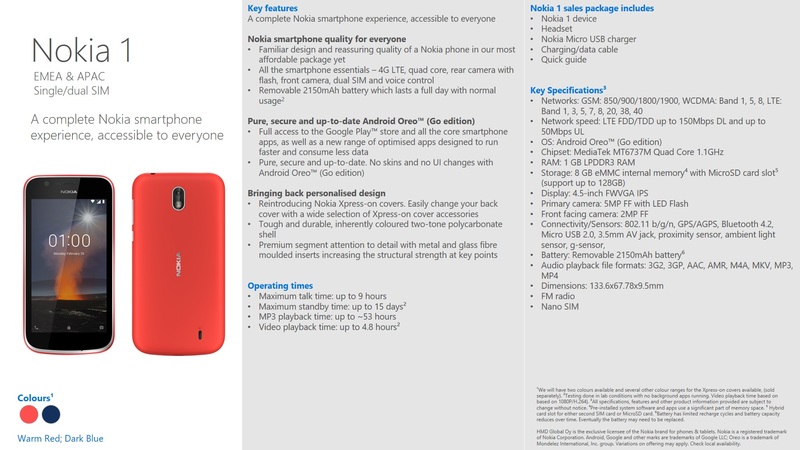 Surprisingly, at least to me, Nokia 1 has started conquering global markets beginning first with Germany. Without any official announcement from HMD in terms of sale start, the device is available for purchase from two german tech retailers – Netbooksbilliger.de and Cyberport.de. To make sure we are not dealing with a mistake regarding the availability info, we contacted both stores and got a confirmation from Cyberport (waiting for Netbooksbilliger response) that the Nokia 1 is indeed available for German customers at a price of 99 euros, slightly higher than expected. Keep in mind, Germany is a highly developed market and the Nokia 2 regularly costs 120 euros there. Nokia 1 is HMD first Android Go device, and the device’s main role in HMD’s strategy is switching feature phone users to smartphones. The 1 is HMD’s most affordable device that features a 4.5 inch screen, MediaTek’s MT6737M chipset, 1GB of RAM, 8GB of internal storage (+ microSD), 5MP rear and 2MP front camera, together with a 2150mAh battery. Nokia 1 also has Xpress-On covers, that will be available in different shapes and colors so users can personalize the device as they please. 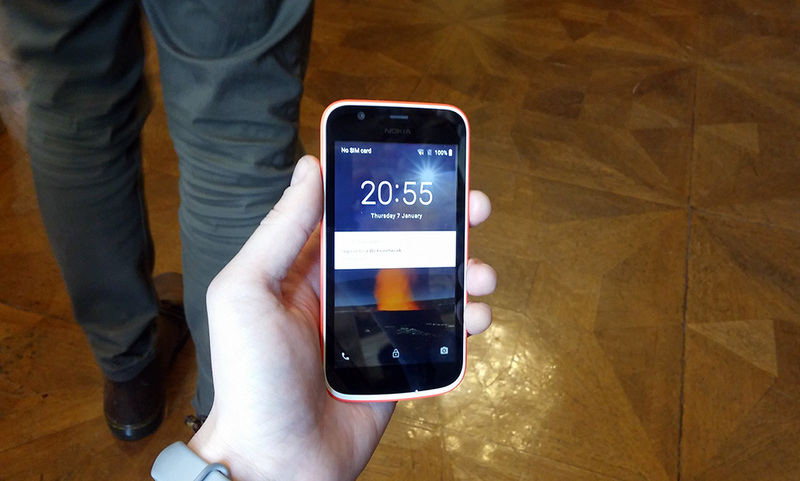 You can check the Nokia 1 at Cyberport.de here, or at Netbooksbilliger.de here. Nokia 1 is available at other retailers as well, and you can check the offers using Geizhals.eu aggregator.